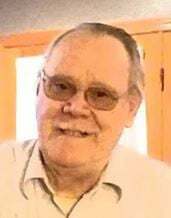 Raymond Wilid Holloway passed away Saturday, January 5, 2019. He was born March 13, 1934, in Columbiana County, Ohio, to Wilid F. and Helen (Regal) Holloway. Raymond married Evelyn M. Geary, April 4, 1959, in Salem, Ohio. PFC Holloway served in the U.S. Army from 1957-1961, with 18 months served in Germany. He worked for Lincoln Public Schools for almost 40 years, driving bus and as custodian. He is survived by his wife Evelyn, three daughters Sheryl K. Holloway, Barbara J. (Robert) Grunder, Sandra M. (Daniel) Aden, son Daniel R. (Jodi) Holloway, all of Lincoln; grandchildren Ashley (Ricky) Ideus (Missouri), Zachary R. Grunder (Kansas), Garrett C. Grunder, Allison L. Price, Gina A. Holloway (Fairbury), Nicole R. Holloway (Colorado), Peyton D. Holloway, Julianna D. Holloway, Mikhala R. Holloway (Fremont); great-grandson Zosimus Devon Ray Price; sister Kathleen (Ralph) Holbrook (Lorain, Ohio); brother Joseph J. (Charlene) Holloway (Connotton, Ohio); also 13 nieces and nephews, great-nieces and nephews. Raymond was preceded in death by his parents, sister Margaret, brothers Marion and Wilson, and infant daughter Kristine Lynette.